Bend it like Amie! 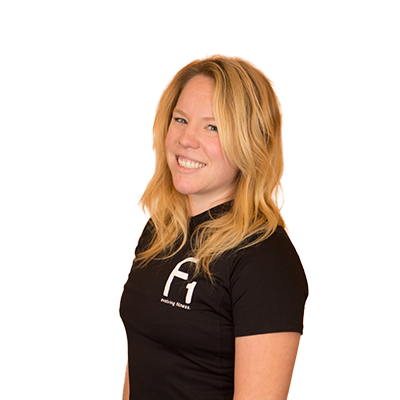 Amie has been working in the fitness industry for 8 years, teaching group exercise classes and coaching gymnastics. She enjoys combining elements of yoga, dance, pilates, weight lifting, and cardio into a workout in order to maximize coordination, flexibility, and mental challenge. Amy has worked with individuals from age 5 to 75, including her time at the Wellspring weight loss camp in La Jolla, CA, where she counseled, mentored, and taught a group of teenage girls. Anyplace I haven’t been before! Gymnastics! As soon as I stopped competing I realized that I enjoyed the exercise the most. Breakfast—I know I need to eat it, but sometimes eggs just aren’t appealing at 4:30am. At least half my body weight!